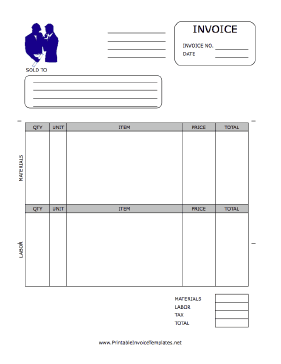 A printable invoice for use by civil engineers, featuring a graphic of figures in blue silhouette. It has spaces to note quantity, unit, item, price, and more, for both materials and labor. It is available in PDF, DOC, or XLS (spreadsheet) format.